The Hull to Rotterdam route is a convenient way to travel to Holland from the north of England. The port itself is referred to as Rotterdam Europoort. From Rotterdam you can travel to Amsterdam by car in around 1 hour and 30 minutes. 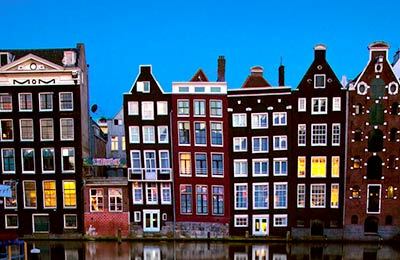 Amsterdam is a popular destination for tourists as it has something for everyone. Whether you're interested in culture, history or nightlife, Amsterdam has it all. Not to mention that it is also a pretty town surrounded with beautiful canals. The Hull Rotterdam route is operated by P&O Ferries. The sailing time is 11 hours and 30 minutes, with departures usually taking place at 20:30. Having a nigh sailings means that you can rest in your cabin and arrive in Rotterdam fully refreshed. See below for the Hull to Rotterdam Europoort timetable and the latest best prices. Alternatively you can use the search engine to find the best deal for your requirements. With AFerry we always give you our best prices for ferries from Hull to Rotterdam Europoort. No matter which page you book from we always include all our special offers. And there is no need to look for a discount code. If we have an offer available, your ferry price will include the reduction or offer. There's no need to look at other websites. If you're not sure if the Hull to Rotterdam Europoort route is right for you or you can't decide between ferry companies, if there is more than one, you might also find it useful to read any reviews we have available. We ask all our customers to send us reviews for Hull to Rotterdam Europoort ferries. Remember though, that the earlier you book, the cheaper prices normally are. So don't spend too long deciding! 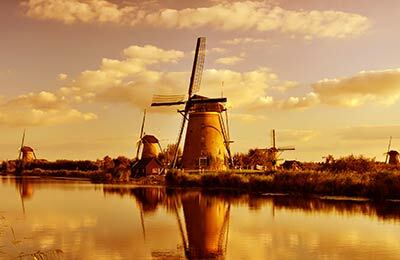 Hull to Rotterdam Europoort is a popular route, so we advise you to book as soon as possible. Overall a positive experience. Very comfortable club cabin on the way back despite being a very rocky crossing. Glad we upgraded as it was well worth the extra money. Staff friendly and helpful. Would definitely do it again. The staff, from checking in, and boarding, to the onboard staff, and checking out were all fantastic. The facilities far exceeded our expectations for an overnight ferry. The whole trip was excellent, and exceptional value for money. The only blip was an Islamic extremist going crazy onboard, but he was quickly dealt with by staff. If ever we need to go to mainland Europe again then P&O will be our first choice. If you book with Aferry dont forget that there is no coach booked for you at the other end If it hadnt been for Carlos on reception we would have been sat on the boat all day Pay for food on board twenty two pound fifty pence each for eating in the kitchen.